Le Metier De Beaute and I used to be in a hot and heavy romance with all it's limited edition counter releases (which I found annoying and stressful being that I live overseas, and I had to stay up and make sure I had enough money on Skype for my beauty drunk dialing), and then one day the phone just stop ringing. I still love the brand, and continue to purchase whatever new releases trickle down onto the web or LMDB counters. Anyway, I've been meaning to start cataloging all my Kaleidoscopes, and since my recent posts have been heavy on the Sakura theme, what better Kaleidoscope to start with then, Cherry Blossom. Cherry Blossom was one of those Kaleidoscopes I almost passed up, thinking the color combinations were a little meh. But, I said "what the hey", and got it anyway. I have no problem admitting when I'm wrong, and my judgement of Cherry Blossom was so wrong, because theses shades pairing beautiful with one another. A shimmery, golden, spring green. I wore the look below a several times this and last month, as well as to the Hanami party. 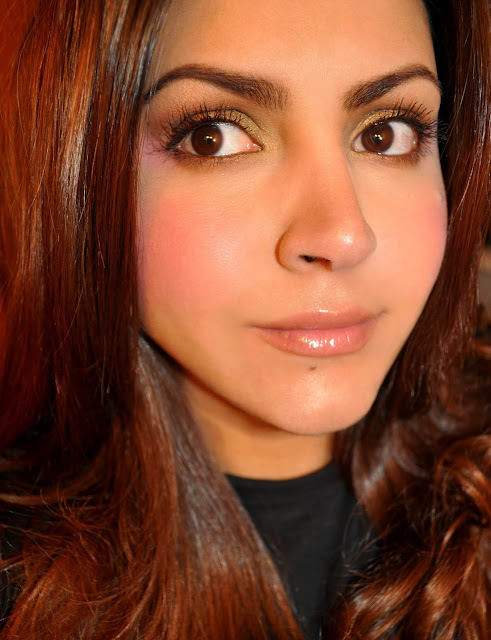 The mauvish-pink shade (applied on the cheeks). The champagne-peach shade (applied as a highlight). 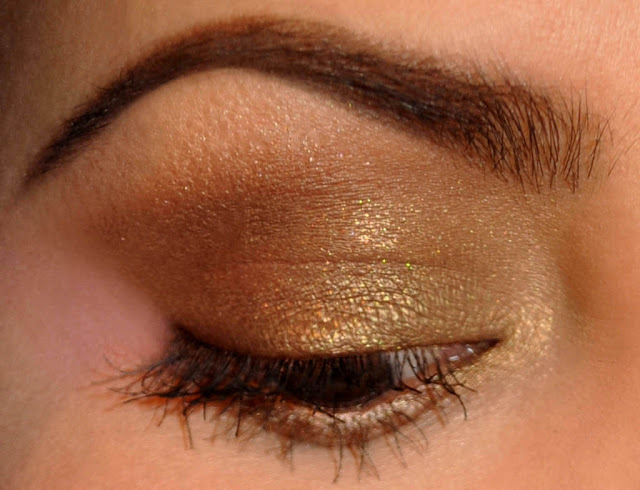 The brown shade (all over the lid blended into the crease and lower lashline). 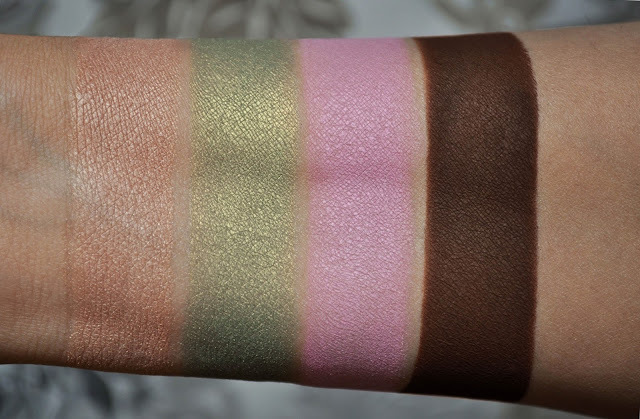 The spring green shade (patted over the brown shade on the inner half of the lid, and inner corner). The mauvish-pink shade (place out the outer corner of the lid). The champagne-peach shade (on the brow bone and used to blend out the brown along the lower lashline). Le Metier De Beaute Dualistic Eye Pencil in Tamarack (used to tightline, blended softly along the upper lashline and waterline). The second shade from the top of the Le Metier De Beaute Spring Lip Kaleidoscope Prototype #2 ( a comparable shade is LMDB's Sheer Brilliance Lip Gloss in Bondi Beach). 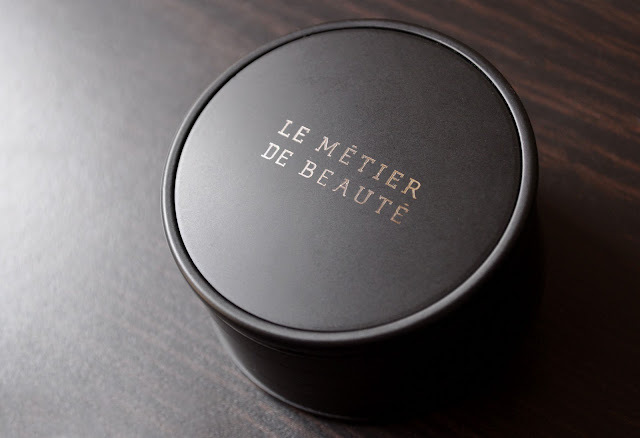 I had a lot of fun writing this first installment on my Le Metier De Beaute Kaleidoscopes. I hope you enjoyed reading it. LOVE the eye makeup close up! Sorry it's taken me this long to reply. I want to subscribe to their VIB program, but I'm afraid all I'll get is their skin care; which I'm not s fan of. What items dos you receive? And by "dos" I mean "did"
No worries, life gets busy sometimes! The 2015/16 program was sort of a dud. There were lots of lipsticks; and most of them weren't good quality. My favorites were October, March and May. They've been teasing the 2016/17 boxes to subscribers for the past few months and it looks like next year (from what they've shown) is an equal mix of skincare and makeup. See, I own all of their lipsticks, and most of the glosses. The only thing I'd want are kaleidoscopes. I wish they offered some sort of check off list of what items you'd prefer (i.e. 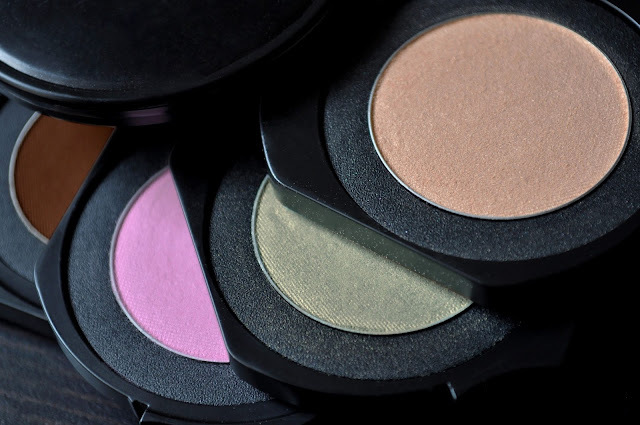 eyeshadows, blush, lipstick, etc), you know what I mean?! LMdB does such a great job of combining colors that make you scratch your head at first - but somehow they always look beautiful. Agreed! The brand always comes up with lovely combinations. Btw, one t of curiosity, how many kaleidoscopes are in your collection? Great! Looking forward to your updates :) I'm not sure if I've asked this before, but do you have a blog? Thank you my dear, you are too sweet ;) I love your blog!! After a long wait I finally received my LMDB sub box today. I had enquired with them regarding the delay and was advised that to save $ they are only shipping the international subs every 2 months. I don't mind, but I wish they would've told me that up front. Anyway, August's box is a Hydra Plump Lip Serum and a 4 color eye quad (not kaleidoscope) in greens and browns. It's very pretty and I'm sure I'll get some use of it. September's box is a full size tube of their replenishing oil cleanser. What's up with not disclosing the every 2 months shipping crap! I wonder if they ship to Japan?